Plugin-based news and information ticker. Is there a better alternative to Zipline? Is Zipline really the best app in Desktop category? Will Zipline work good on macOS 10.13.4? Zipline is a plugin-based news and information ticker for your desktop. Pulling events and information from Facebook, RSS feeds, iCal events and todos, Twitter and other sources, Zipline lets you passively keep an eye on whatʼs going on on your computer and in your life. 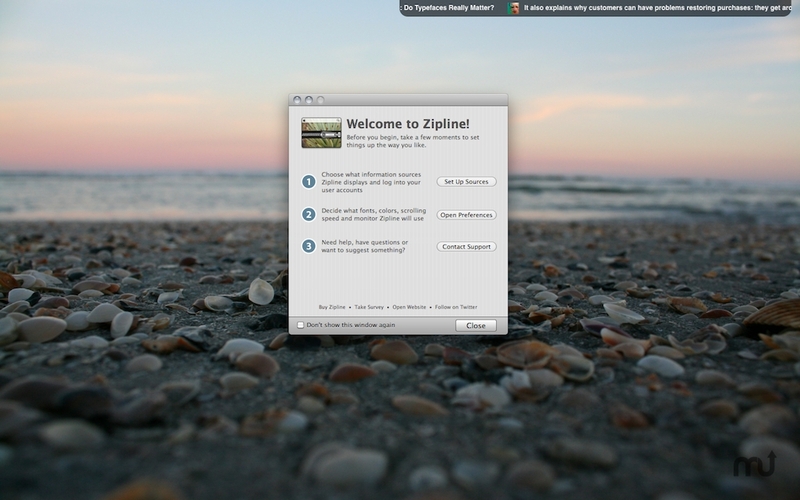 With its highly customizable interface, Zipline makes it simple for you to make it an integral and beautiful part of your desktop. Zipline needs a rating. Be the first to rate this app and get the discussion started!